We designed the soft crate to complement storage options many kayak fishermen are already using. And it does the job much, much better than any of the others. The soft, lightweight bag feels like a tackle bag, while the shape and design are sized specifically to fit inside a milk crate or rest on the deck of a kayak. 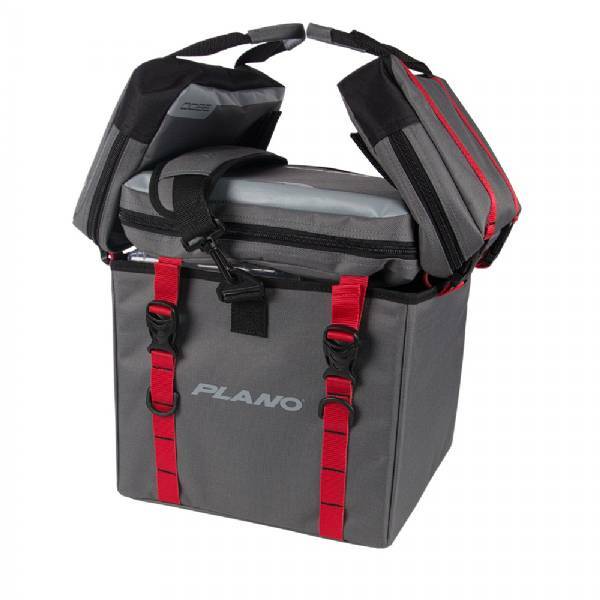 The paneled design features a large base with two compartments that fit StowAway® utility boxes or other large items. The other three panels each perform another role in addition to storage: the top section as a protective lid that secures your StowAways, and the two side sections as sturdy carry handles. All these sections are easily removable with a series of buckles and straps that allow you to customize the bag to your needs. This is the ideal option for beginners who are building up their gear collection, or for skilled anglers looking for a customizable bag with lots of storage power. Numerous D-rings and two tool holders offer easy access to pliers, hook removers, etc. L=12" x W=17.5" x H=12.5"